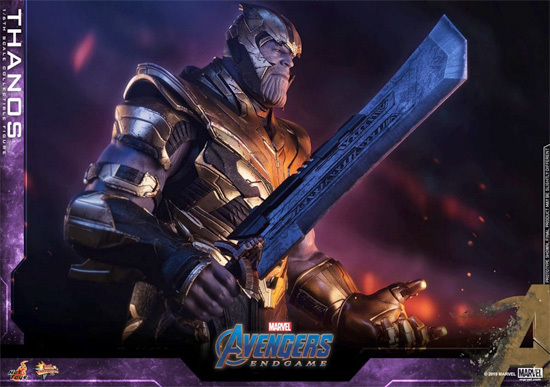 So End game is coming soon and it's time to see Thanos in End game version and Hot toys have just show case it! 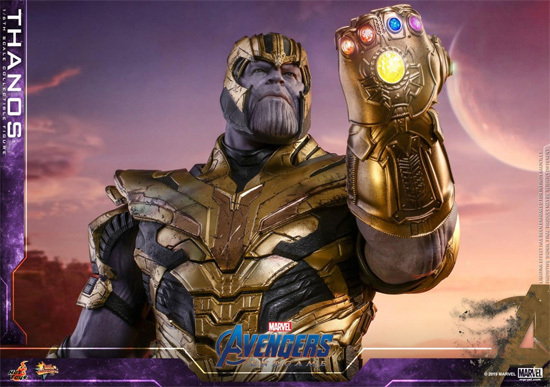 Thanos’ will be in his signature full body armor with trim details and weathering effects. 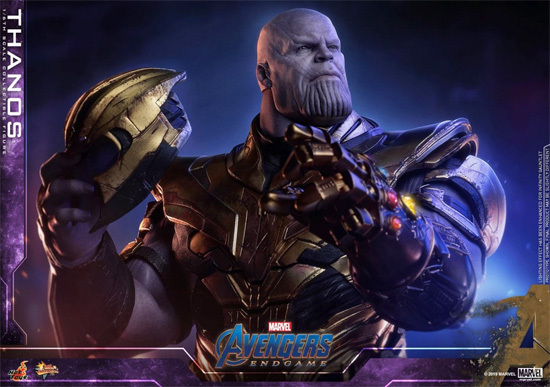 Thanos for the figure will comes with two newly painted head sculpts capturing the Mad Titan’s serious and angry facial expression. 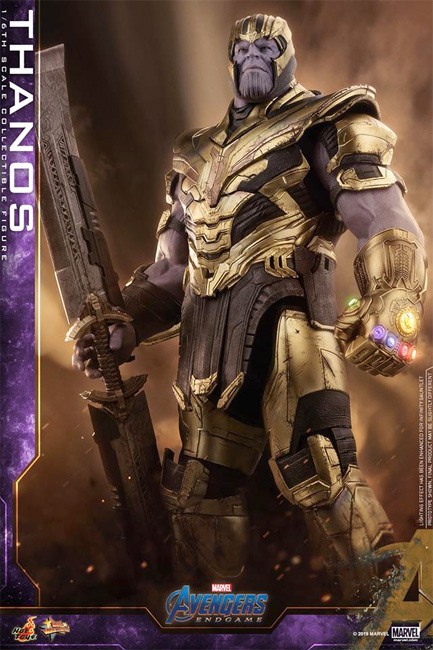 Also note that his helmet can be removed. 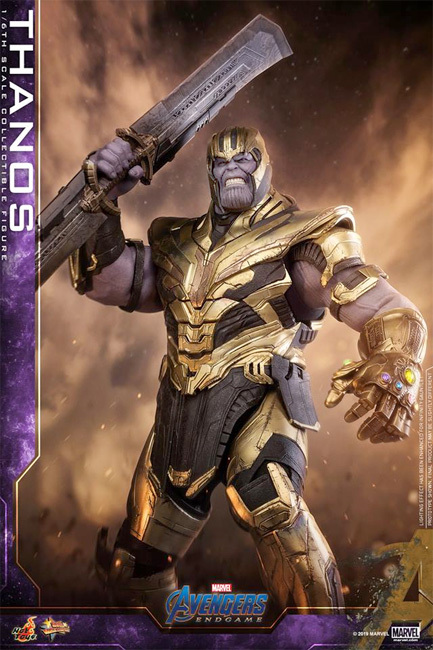 I hope we get to see it in action in the coming movie. 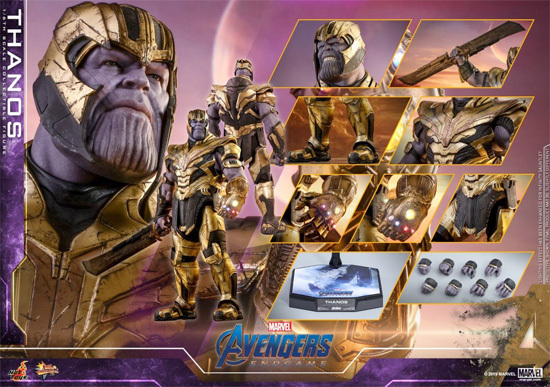 The Infinity Gauntlet on the figure will be equipped with LED light up function. Lastly the figure will come with a character-themed figure base.